WARNING: Cussing may/may not be involved. DISCLAIMER: I don't own anything But the plot. 'Course, I don't own YOU but... well you get the idea. And characters belong to Masashi Kishimoto. Requests also available on Quotev! This is a collection of various male xReaders. Keep in mind they will only be one-shots,so they won't be chapters long,unless I feel the need to make another part. 1.Tell me your character's name. 2.Tell me what setting you want,normal or modern. 3.Tell me what point of view,third person or second. Enjoy my stories and of you suggest something,I will get to it as fast as I can. 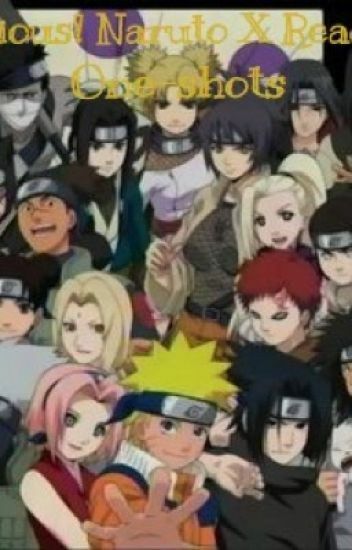 Short imagines about many characters in Naruto. I do not own any of the characters from Naruto. This book is for entertainment purposes only. All rights go to the creators of Naruto. Just an ordinary Naruto x Reader book. I try to not do anything half "assed", so updates may vary depending on my knowledge and the story of the character I'm writing about. I want to make sure that all the stories are relatable and enjoyable for every type of person. Naruto characters x reader one shots. Requests are open. I am open to character x character too.I DO NOT OWN NARUTO OR ANY OF THE CHARACTERS!